Speaking to The Indian Express, Karat said Rahul’s decision “goes against the stated commitment of the Congress that they are going to fight the BJP and defeat the BJP”. The BJP, meanwhile, projected Rahul’s decision to contest from a second seat as a panic reaction. IF THE Congress believes that Rahul Gandhi’s candidature in Wayanad will give it a much-needed boost in Kerala, and perhaps in the adjoining regions in Tamil Nadu and Karnataka, the angry reaction of the CPM and the Left should come as a vindication of its calculations in the Left-ruled state. The BJP, meanwhile, projected Rahul’s decision to contest from a second seat as a panic reaction. The party’s chief Amit Shah claimed that “Rahul Gandhi has fled to Kerala as he fears that Amethi voters will seek an account” of work from him. Union Minister Ravi Shankar Prasad said Rahul may have found Wayanad a “safe seat” since “only 49 per cent of the population… is Hindu”. “In Kerala, going to fight in Wayanad means they are fighting against the Left. We are going to fight against the UDF, including Rahul Gandhi, in Wayanad. We will work to defeat the UDF and win all the 20 seats. The Congress has lost the plot. They said their main fight was against the BJP, but they have diverted their fight to one against the Left,” Karat said. CPM general secretary Sitaram Yechury said the Left’s priority is to defeat “the Modi-led BJP-NDA government and to ensure an alternative secular government… now let the Congress decide what its priorities are”. Out of the nine seats the CPM had won in 2014, five came from Kerala and two each from Bengal and Tripura. The CPI had a lone MP, that too from Kerala. Pushed to the wall in both Tripura and West Bengal, the CPM and the Left are looking towards Kerala to clock respectable figures this time. But Rahul’s entry has injected an element of uncertainty in those hopes. Kerala Chief Minister Pinarayi Vijayan said Rahul’s decision can only be viewed as a fight against the Left. “We are not at all worried. Whosoever comes to take on the Left, we have the strength to take them on,” he said. CPM state secretary Kodiyeri Balakrishnan warned that the Congress president was playing into the hands of the BJP by “seeking the support of Muslim extremist organisations”, such as the Social Democratic Party of India (SDPI), which is the political wing of Popular Front of India (PFI). “In Wayanad, the IUML (Indian Union Muslim League) has better sway than Congress among voters. IUML, on its part, has an alliance with Jamaat-e-Islami and Social Democratic Party of India. In short, Gandhi is contesting as the candidate of Congress-IUML-Jamaat-SDPI. Congress should think whether seeking support of Muslim extremist organisations would benefit Congress at the national level. Fighting the communal party BJP should not be by joining hands with Muslim extremism,” Balakrishnan said. Senior CPI leader D Raja said he is “at a loss” to understand Congress politics and added that the CPI will not withdraw or change its Wayanad candidate. “By choosing a constituency in Kerala, what message is the Congress conveying? When we are all united in fighting the BJP, the Congress has come to fight us,” he said. The AAP, which was poised for a tie-up with the Congress in Delhi, also questioned the Wayanad move. “Instead of concentrating attention on removing a dictatorial and anti-federal regime, the Congress seems to be dividing votes where the anti-BJP forces are strong. Look at what the Congress is doing in UP, West Bengal and Andhra Pradesh,” AAP leader Gopal Rai said. The BJP, meanwhile, hit out at the Congress chief for choosing to contest from another seat, apart from Amethi where the ruling party has again fielded Union Minister Smriti Irani. 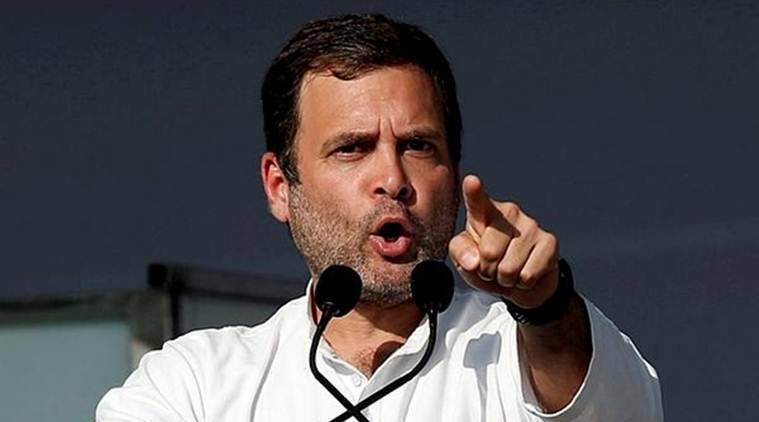 “Rahul Gandhi has fled to Kerala as he fears that Amethi voters will seek an account (of work) from him… In Kerala, there is politics of appeasement, hence he is going there,” Shah said while addressing a rally in UP’s Bijnor.